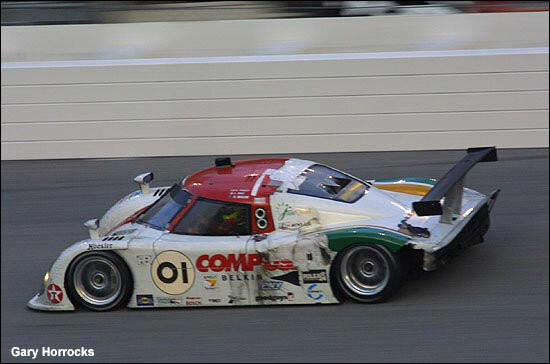 Scott Pruett, Luis Diaz and Max Papis form the driver line-up for the #01 CompUSA Riley Lexus at the Rolex 24, with Ganassi’s IRL drivers Scott Dixon and Dan Wheldon joined by NASCAR stablemate Casey Mears in the #02 Target Riley. So Chip Ganassi has the 2005 Indianapolis 500 and IRL Champion (Wheldon), the 2004 Daytona Prototype Driver Champions (Pruett and Papis), and the 2003 IRL title holder (Dixon) in his line-up. "I think what you have is a line-up representative of what this team strives for each year, in each series - and that is contending for championships," said Chip Ganassi. Ganassi’s team entered three cars in last year’s race, the three finishing fourth, sixth and seventh, after niggly delays afflicted each entry.